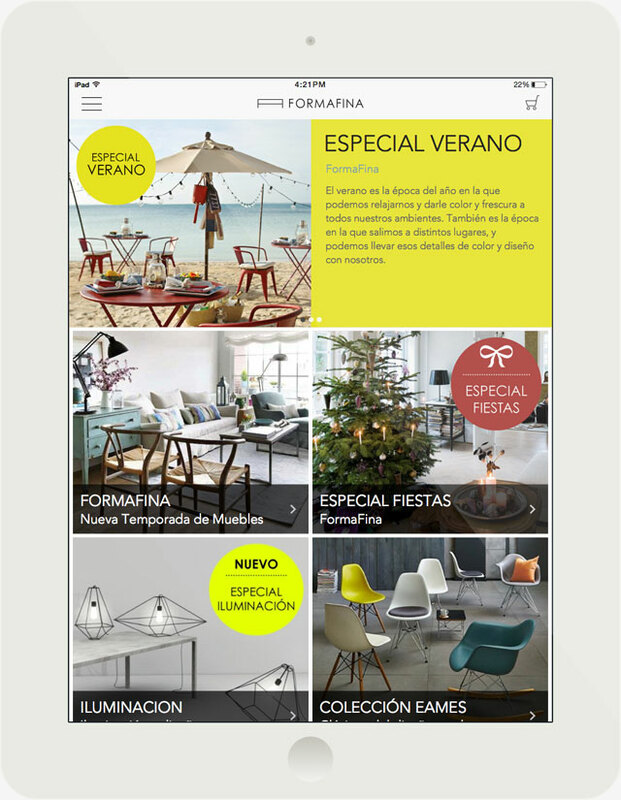 With FormaFina I had the challenge to design an app from scratch while adapting the look and feel of an existing e-commerce. 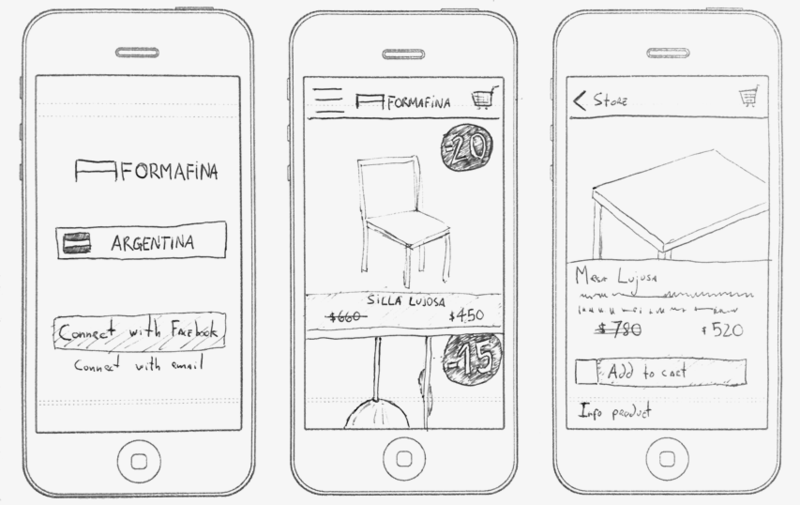 Sketching the look and function of the app was the first step. This is crucial in the early stage to eliminate any errors, so we can test and iterate before stepping into a more polished design. A first prototype was built with web technologies, to fast proof the UI and UX of the app before getting into the development phase. I went into many iterations in this phase before arriving to a satisfactory result. 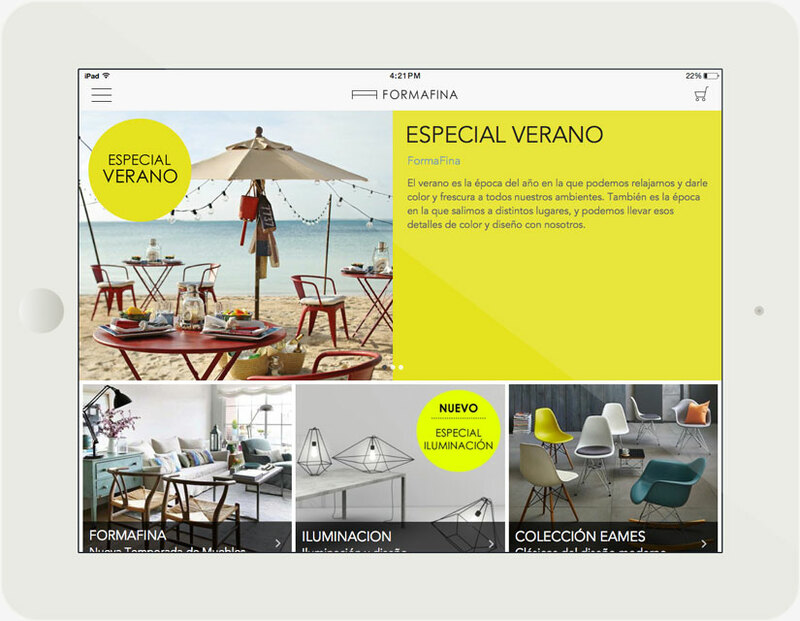 Because the app was universal, the next step was design and development for iPad. The challenge was to design the app layout to perform on both landscape and portait orientations.